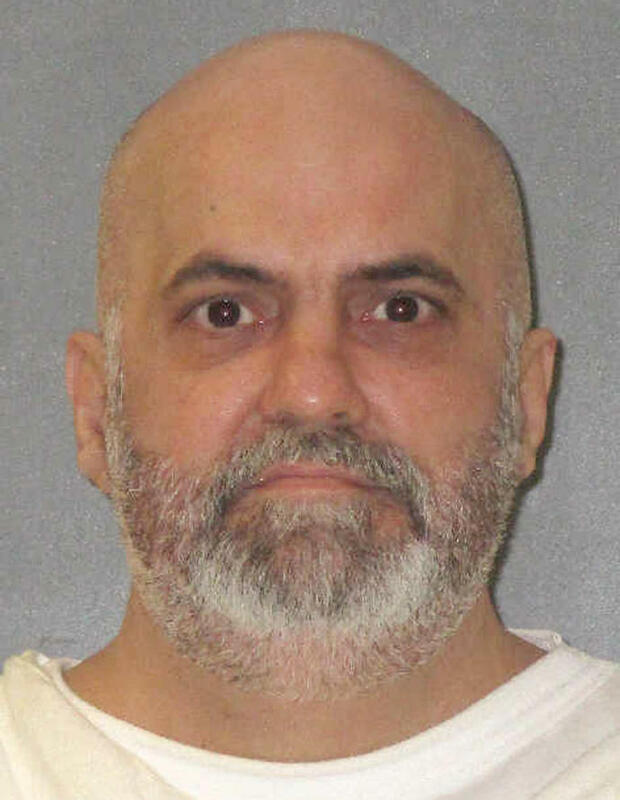 HUNTSVILLE, Texas (AP) - A Texas inmate was executed Thursday evening for fatally running over his girlfriend in a jealous rage more than 18 years ago. It was the state's second execution in as many days. Asked by the warden if he had any final statement, Acker replied: "No, sir." Acker did not acknowledge the presence of George's brother, Christopher Follis, who watched through a window a few feet away from him. The U.S. Supreme Court rejected an appeal by Acker's attorneys on Thursday afternoon. They had argued the Acker was innocent of capital murder because his 32-year-old girlfriend's fatal injuries were due to her decision to jump from his truck after he abducted her. A similar appeal was rejected earlier this month by the Texas Court of Criminal Appeals. The 46-year-old Acker became the 18th inmate put to death this year in the U.S. and the 10th given a lethal injection in Texas, the nation's busiest capital punishment state. At Acker's trial, several witnesses testified he got into a heated argument with George at a Sulphur Springs nightclub the night before her death over his suspicions she was sleeping with another man. Authorities said that the next day, Acker forced George - kicking and screaming - into his pickup truck. A witness later saw Acker pull George's body from his truck and lay her on the ground. In a petition to the Supreme Court, Acker's attorney, Richard Ellis, had argued the conviction was based on what he describes as a "now discredited" theory that Acker strangled George while he was driving. Ellis said prosecutors changed their theory of George's death after a prosecution expert testified at a post-conviction hearing in 2011 that she died from injuries after being run over. At Acker's trial, a medical examiner testified George had extensive injuries all over her body and her neck injuries were consistent with strangulation. But the medical examiner could not determine if strangulation or blunt force caused George's death. The autopsy report did conclude that several of George's injuries could have resulted from "an impact with or being ejected from a motor vehicle." "From the moment Daniel turned himself in to the authorities, he said that the victim Markie George jumped from the truck," Ellis said. "He has taken full responsibility for abducting her and has shown great remorse for that." In its response to Acker's Supreme Court petition, the Texas Attorney General's Office argued the theory that Acker ran over his girlfriend was presented at the trial to jurors. "Acker produces no new evidence showing he did not commit the crime but continues to assert that George's death resulted from her leap from the vehicle - a theory rejected by the jury at the time of trial," the attorney general's office said. Multiple witnesses testified at Acker's trial that he made several death threats against George in the hours before her death. In a 2017 ruling, the 5th U.S. Circuit Court of Appeals said the prosecution's theory of George's death was "largely based on strangulation." But in denying Acker's appeal, the 5th Circuit ruled that all of the evidence, including the updated cause of death, still supports the prosecution's case as it was presented in the indictment and at trial.